Sebastian Rivero does not have any MLB stats for the season. April 1, 2019 C Sebastian Rivero assigned to Wilmington Blue Rocks from Lexington Legends. 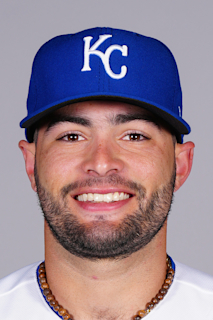 January 8, 2019 Kansas City Royals invited non-roster C Sebastian Rivero to spring training. August 7, 2018 Lexington Legends activated C Sebastian Rivero from the 7-day injured list. July 24, 2018 Lexington Legends placed C Sebastian Rivero on the 7-day disabled list. April 4, 2018 C Sebastian Rivero assigned to Lexington Legends from Burlington Royals. March 23, 2018 C Sebastian Rivero assigned to Kansas City Royals. June 19, 2017 C Sebastian Rivero assigned to Burlington Royals from AZL Royals. June 20, 2016 C Sebastian Rivero assigned to AZL Royals from DSL Royals. June 18, 2016 DSL Royals placed C Sebastian Rivero on the reserve list. June 3, 2016 C Sebastian Rivero assigned to DSL Royals. July 10, 2015 Kansas City Royals signed free agent C Sebastian Rivero to a minor league contract.